If you want to make money out of gun ownership, then go for a new “London Best” (preferably a Purdey, Holland & Holland or Boss), don’t shoot much — or not at all — and live long. This idea came to me when I reviewed a second-hand Holland & Holland Royal side-by-side. The gun was immaculate and the bores had worn by less than a thousandth of an inch in diameter since the barrel set was built — the result of slightly over-zealous cleaning rather than shooting, said the gunsmith who, in the era, was my mentor. The gun had cost around £3,000 when new and, at the time I wrote the review, it was for sale at £16,000. Unfortunately, not many of us can afford new London Best guns to put my theory to the test. The best we can do is seek out a gun that is going to hold its value reasonably well. 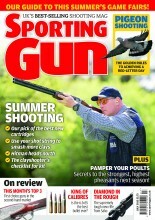 And one of those guns is a Perazzi. It must be exciting to watch the final of an Olympic Trap competition, particularly when the world’s top trap shots are involved. Such was the case in the 1964 Tokyo Olympics, when the aces from the USA, the Soviet Union and Italy were in the frame for gold. The Italian tricolour was borne by Ennio Mattarelli — a competitor of interest because he was using a gun that, in top trap competition, was very much the new kid on the block: a Perazzi. It was Mattarelli who triumphed with 198 x 200. He was chosen to represent his country again in the 1968 Mexico Olympics, and went prepared with a Perazzi MX8. He wasn’t on top form and finished in 27th position. The event that year was won by North-country vet Bob Braithwaite, a true British amateur. Mattarelli — who went on to represent his country in many top competitions, including World Championships — is still with us at just short of 90. He’s the founder of a company making clay traps and a shooting legend — as is the Perazzi MX8, which is still out there winning top-level competitions. Everything about the MX8 is geared to strength, long life, and excellent handling, no matter which shooting discipline it is designed for. A solid action block machined from a strong steel forging forms the basis of this gun. It is a low-profile action with the barrels hinged on extremely sturdy stub pins, and with a particularly strong lock-up. A strong, two-pronged bolt emerges through slots at the sides of the standing breech to engage with bites in the barrels just below the ejectors and curved slots in the sides of the barrel monobloc mate with projections in the action walls. The action block of the gun is slightly wider than many, in order to accommodate Perazzi’s famous drop-out trigger group. All of the firing mechanism except the firing pins is contained in this group, which is removed by pushing the safety thumbpiece forward beyond the normal “fire” position. Leaf springs are used rather than the usual coils, to give particularly crisp trigger pulls. The barrel set is built on the monobloc system, and its quality is one of the prides of Perazzi. The quality of the steel and the way in which it is finished, both internally and externally, is quite exceptional. Chambers are chrome lined, but the main lengths of the bores are not. Perazzis come in forms for every clay-shooting discipline, and for field shooting. They are tough, well-made, elegant guns. So what does a new one cost? Even when we have chosen a model (and up-rated versions have appeared in recent years), the answer can be “how long’s a piece of string?”. There are many standards of finish, and the opportunity to incorporate user-defined options, such as woodwork and engraving. That’s also why there is such a huge variation in second-hand prices.